“Invite the pitch” is a great way to think about how a catcher should set up for a pitcher. 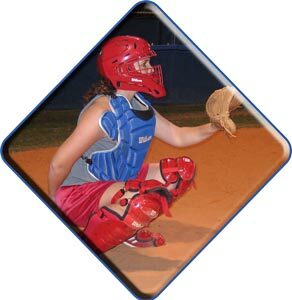 Everything the catcher does from her body positioning to how she holds her glove should be to help “invite the pitch” from the pitcher. The more inviting the catcher looks to the pitcher the greater the chance the ball will end up exactly where the catcher wants it!